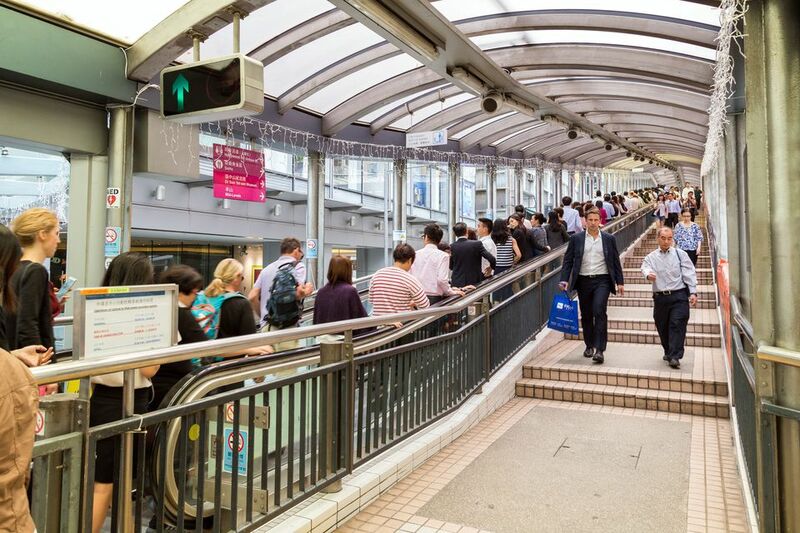 Perhaps one of the city’s stranger attractions, the Hong Kong Central-Mid-Levels Escalator is used to ferry thousands of workers between the bedroom community of Mid-Levels and Central Hong Kong. Built in 1994, the Hong Kong Central-Mid-Levels escalator now carries upwards of 60,000 people a day. The escalator is Hong Kong’s very own piece of Futurama, elevated above street level and covered; it allows the transportation of workers from their beds to their desks and back again. This is Hong Kong at its most modern and efficient. From 6 a.m. – 10 a.m. the escalator moves downhill and then uphill from 10.15 a.m.-12 a.m. The complete system of several escalators runs for 800m and climbs a total of 135 meters, some of the ascents can be very steep. On the way up you’ll cut through the booming Soho district, packed with restaurants and bars. During the evening, the escalator buzzes with couples and groups wining and dining. The escalator reaches three stories at points and offers great views down into onto the wet markets and dai pai dongs below. At the end of the line, you’ll also get to see the jungle of housing skyscrapers in Mid-Levels, the preferred living quarters for expats. There are several junctions along the route meaning you can stop and take a few snaps of the sights below. The escalator runs from Des Voeux Road, Central to Conduit Road in Mid-Levels. There are several entrances and exits throughout Soho and NoHo. The system is free and takes around 25 minutes one-way. Be sure to keep to the right, as time hungry Hong Kongers have little patience with meandering tourists.